From motor scooters to shared bikes and ridehailing, city dwellers now have more options than ever before to choose how they get from one point to the next. New mobility providers offer an attractive array of services and have managed to draw in more and more users every year. These new users have come at a cost—one that’s mostly incurred by transit options that were around before companies like Bird and Lime. In case it bears reiterating, in the US, public transportation ridership is down. Sprawling systems in New York City and DC have been affected by this shift, and in LA, officials are coping with how to service a population that relies so heavily on personal vehicles. Chicago is also feeling the sting. According to CTA’s annual financial report, the end of 2017 saw a 3.17% decrease in rides. In 2016, there was a 3.54% decrease. People are still navigating from place to place within the city, so it’s worth considering why there is a decline in CTA ridership, and whether new mobility services are to blame. Steve Schlickman, former Executive Director of the Regional Transportation Authority, says the answer is mixed. The RTA oversees the CTA, Metra, and Pace systems, which serve around 8.4 million people in the Chicagoland area. 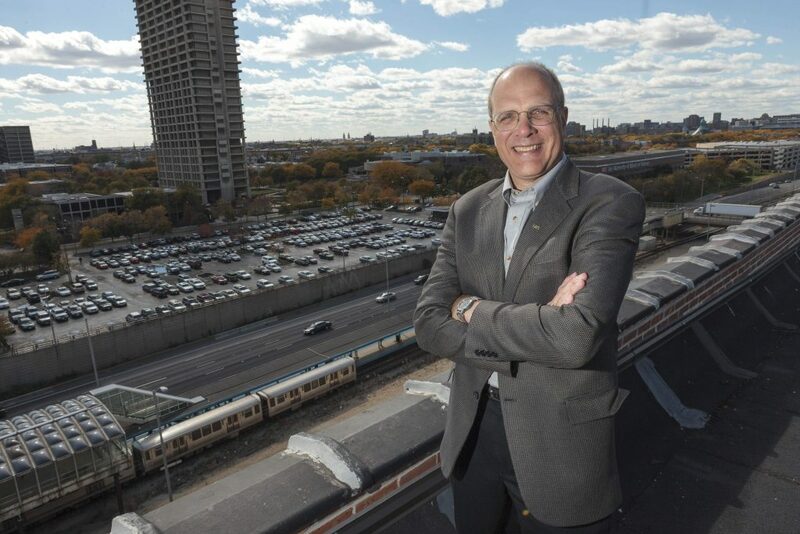 Steve is also former head of the Urban Transportation Center at the University of Illinois at Chicago’s College of Urban Planning and Public Affairs, the fourth largest Urban Planning advanced degree program in the country. Image sourced from NURail Center. According to him, ridehailing is responsible for some of the drop in ridership as people rely on providers such as Uber and Lyft to get around. That said, ridehailing and other services aren’t completely to blame. Schlickman says that the economy is doing well, and people have more disposable income as a result. This allows them to be selective when choosing how they want to move. He says another possible explanation for the decline in CTA ridership is linked to gas prices. Agreeable gas prices usually account for more vehicles on the road. This is true for personal vehicles as well as rideshare drivers. Fewer people rely solely on public transportation in these conditions. So, it seems new mobility services are only partly to blame for a dip in transit ridership. Still, their effects shouldn’t be downplayed. Both Uber and Lyft have dramatically increased their driver networks in the last few years, and with Lyft’s recent acquisition of Motivate—the parent company behind Divvy and other bikeshare platforms—further strengthened its reach in the new mobility sphere. Companies like these are expanding, and their growth will likely continue to draw customers towards them, and away from traditional transportation options. Instead of adopting an adversarial stance against companies like these, however, Schlickman says the CTA’s response has been more collaborative. CTA is working alongside new mobility companies and together they’re trying to address the needs of commuters. The two primary transportation obstacles Chicagoans face are transit deserts and first mile/last mile issues. As the name implies, transit deserts are areas with large populations that are dependent on public transportation and lack adequate access to it. The first mile/last mile problem arises when there is a lack of service during the first and final stretches of a commute. In attempt to combat these issues, Schlickman pointed out that Metra moved forward on a three-year partnership with Uber, naming the rideshare giant its official rideshare partner. As most commuters use a combination of public and private transit options, initiatives like these have the best chance of addressing riders’ needs. This partnership proved lucrative for both Metra and Uber and will allow the rail company to develop other initiatives. CTA has also been spending in an effort to draw in riders. Despite decreased revenue in both 2017 and 2016, the authority has undertaken several infrastructure projects—the Red-Purple Modernization and the new 95th Street Terminal are just two examples. Schlickman says that although these projects will solve major structural and accessibility issues, they aren’t the only changes CTA is making. 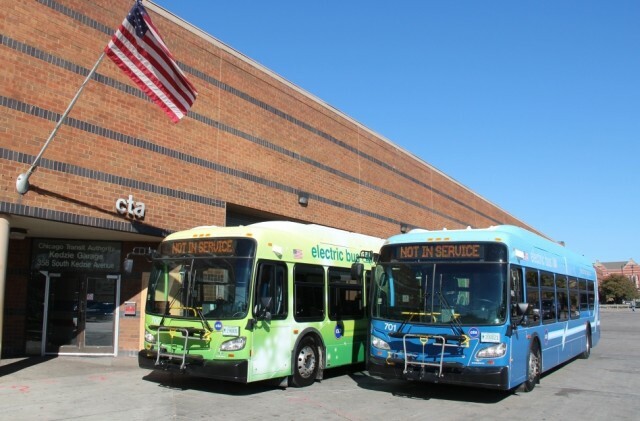 It invested in a fleet of electric buses that are set to operate in 2020. Aside from being eco-friendly, they provide a quieter commute; their noise level has been compared to that of an indoor conversation. This emission-less option might be enough to convince some commuters to take the bus as opposed to ordering a Lyft. Image sourced from Transit Chicago. There’s no minimizing the effect micro mobility options will have on public transportation systems in the coming years. 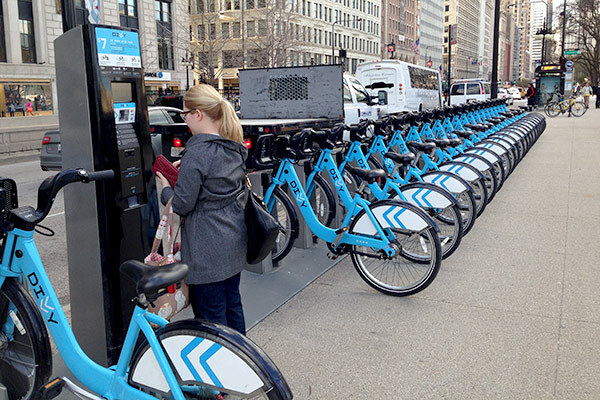 In Chicago, the CTA is working with innovative providers to address commuter needs. This, along with greener options, seems the best way forward to ensure the longevity of public transportation networks.